A dismal Barcelona side was trounced upon by Real Madrid in the second leg of the Spanish Super Cup at the Santiago Bernabeu. A much superior Madrid side dominated the entire match to cruise past rivals Barcelona with ease courtesy of goals by Asensio and Benzema. A 2-0 win on the night, along with their 3-1 win in the first leg meant they lifted the trophy winning by a comfortable 5-1 margin. The five match ban handed out to Ronaldo before the match was the focal talking point before the second leg kicked off. Many viewed the punishment as severe, given that Messi was not fined for his similar assault on the referee a few years back. Despite the loss of their main man the spirits in the Madrid camp were high, who was sitting comfortably on a 3-1 lead from the first leg thrashing of Barcelona at the Camp Nou. A dejected Barcelona side, who are still trying to cope with the loss of Neymar and shoddy showing in the transfer market, knew that it would be one of their toughest tasks to overturn their first leg defeat as they came to the home of the champions of Europe. In the end, the suspended Cristiano Ronaldo wasn’t missed one bit, nor even worthy of mention in the end, as Real Madrid saw off their arch rivals easily. Asensio who had replaced Ronaldo in the lineup continued his fine form as he curled in a beauty of a long ranger to take football fans around the world by surprise. Given his age and talent, Asensio has proven to all that the coming up of him along with players like Kovacic, Varane, and Casemiro means that Madrid’s future is in fine hands. 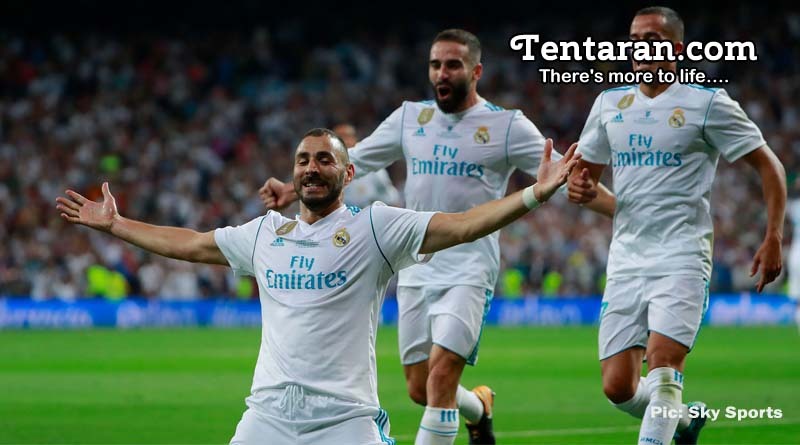 France striker Benzema got a well-deserved goal to make it 2-0 and end Barcelona’s hopes of any comeback to wrap up a well-deserved victory for the mighty Madrid side.